Jennie Allen is a staunch believer in the power of just one life beautifully lived — and she is determined to pass her belief on to women everywhere. With her own purpose to disciple a generation as inspiration, the in-demand speaker, author, and teacher officially launched IF:Gathering, an innovative forum for women, in 2014. The event has since become one of the fastest growing conferences and movements in the world, empowering participants across continents and denominations to live honestly and deeply. 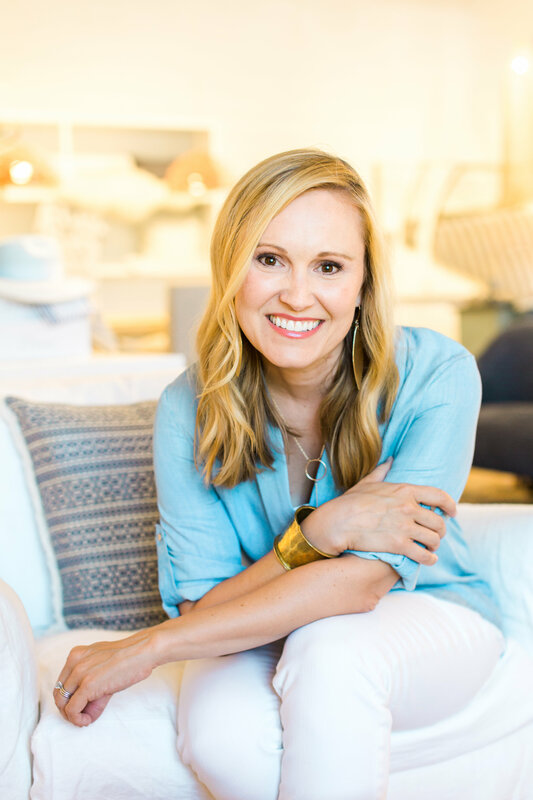 With stark candor, humor, and vulnerability, Jennie connects women to purpose by sharing her own struggles through her blog, acclaimed books, talks, and more. 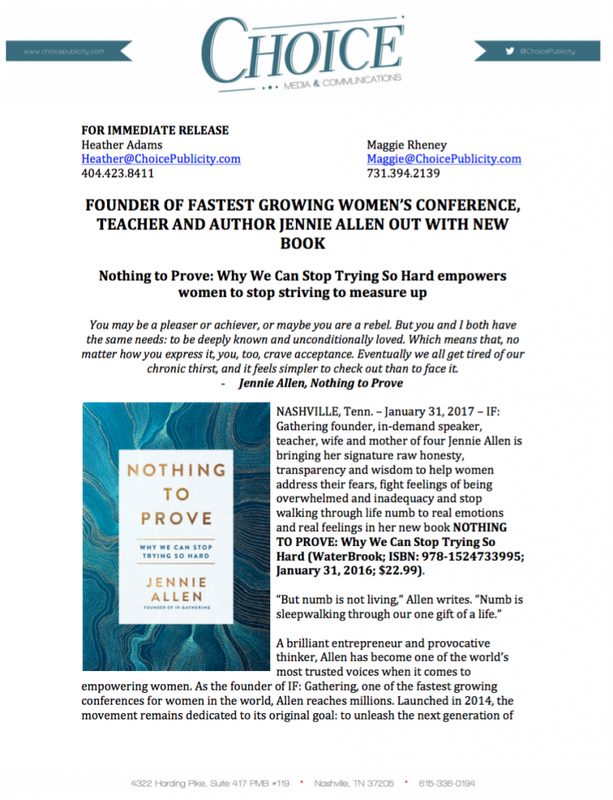 In January of 2017, she will publish her highly anticipated third book NOTHING TO PROVE: WHY WE CAN STOP TRYING SO HARD. 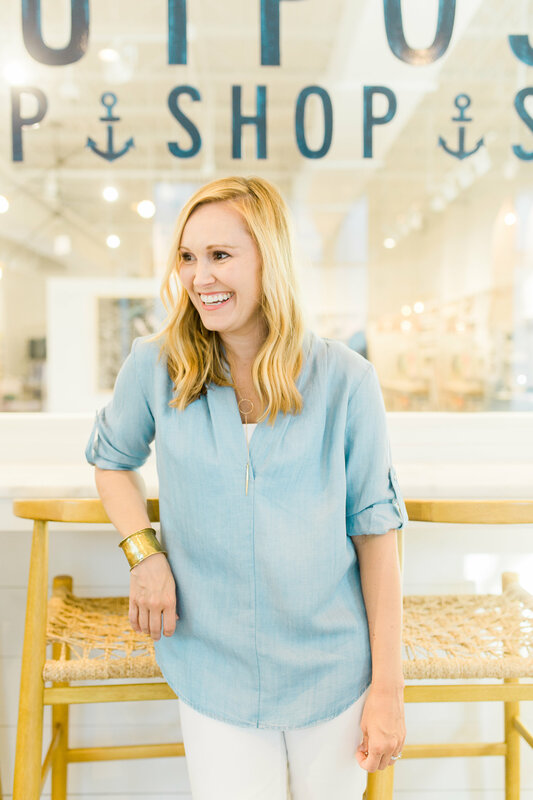 Jennie lives with her husband Zac and their four children in Austin, Texas. 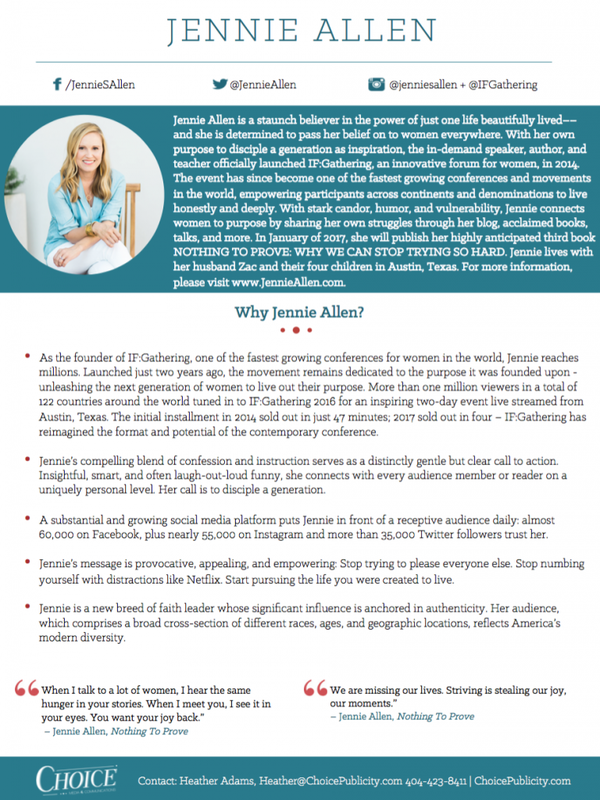 For more information, please visit www.JennieAllen.com. 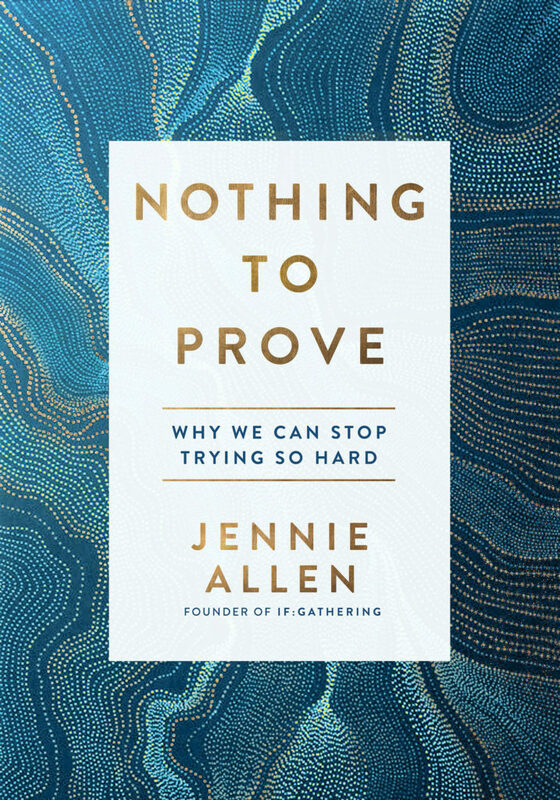 Jennie Allen - "Nothing to Prove"
Can Faith Strengthen Your Confidence? 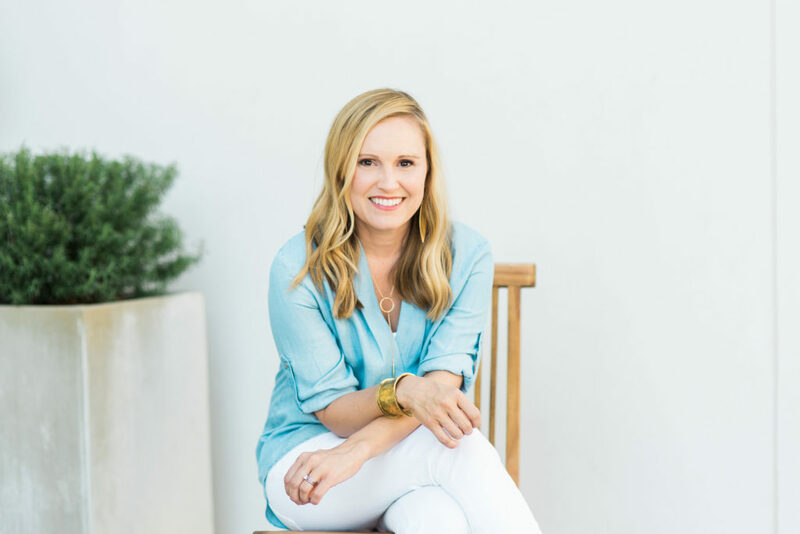 If a Brand-New Christian Women's Conference Goes Viral, Then What?